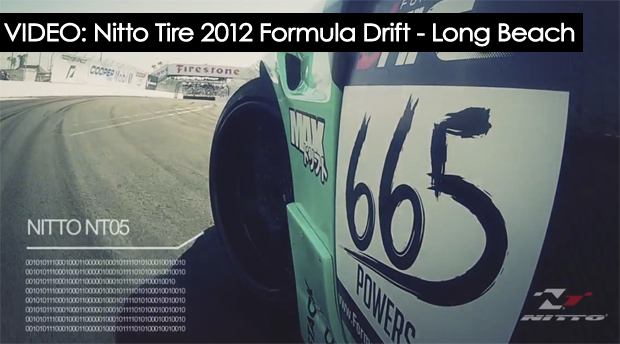 Nitto Tire drifts the streets of Long Beach for the 2012 Formula Drift season opener. Matt Powers debuts his brand new NFS/Nitto Tire S14, Joon Maeng returns in his Nitto Tire Mazda RX8, Michael Essa returns in his GSR Autosport/Nitto Tire BMW Z4, and new to the Nitto team Toshiki Yoshioka with the RSR/Nitto Tire S15! Matt fought hard to a 4th place victory!